These Aeropress microfilters are the perfect replacement pack and will keep you going for months of coffee making. Receive 350 genuine paper filters that will fit perfectly into your Aerobie Aeropress. The Aeropress has been a worldwide hit since its launch in 2005. Coffee lovers are committed to this product due to its reliable high-quality consistency. It is quick, easy and brews delicious coffee in the comfort of your own home. However, it is not restricted to the home. Its incredibly lightweight and small design makes it perfect for travel. Take it camping, walking or on holiday and enjoy fresh coffee just about anywhere in the world. Paper vs metal – what’s the difference? For an Aeropress, there is the standard paper filter and 3 different metal filters. Which one suits you best will depend on your preferences and priorities. They are disposable, so this makes cleaning up a lot quicker and easier. If cholesterol is a concern for you, this is probably the best option. Cafestol, which has shown to have a link with an increase in cholesterol, is mostly removed when using paper. This is because it is found in the oils of coffee, and the paper mostly absorbs them. The fines are removed by paper filters which creates a much cleaner and smoother drink. There is slightly more thorough filtration with paper and slightly more pressure is applied, which also adds to the clean, smooth taste. 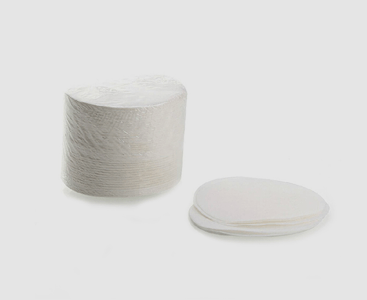 It is reusable, so better for those who don’t want to re-purchase paper filters. Does not alter the taste, whereas paper that has not been rinsed may do this. Gives a slightly sweeter taste depending on what kind of metal filter you use. How do I use paper filters in my Aeropress? Weigh out 20g of coffee beans. Grind on a medium setting. Boil fresh water (or heat to 95 degrees). Soak your paper filter with the hot water to get rid of the paper taste (make sure you don’t pour into the mug your using). Add the coffee and half fill with the hot water. Stir for 5 seconds and then leave to steep for 30 seconds. Fill with the rest of the hot water and screw on the filter. Carefully invert and then press down into your mug for 40 seconds.